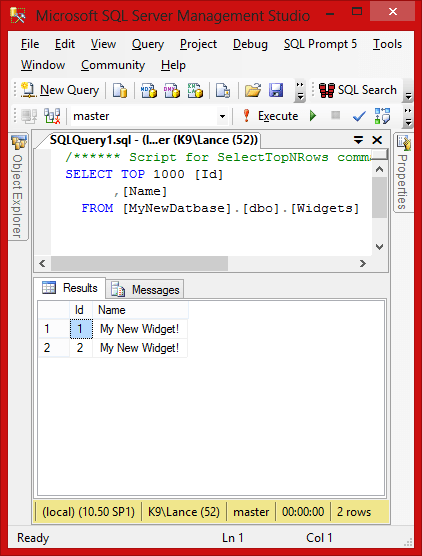 Add Entity Framework to the project. 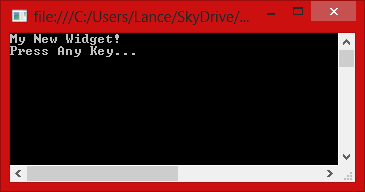 We’ll do this by using “NuGet”. 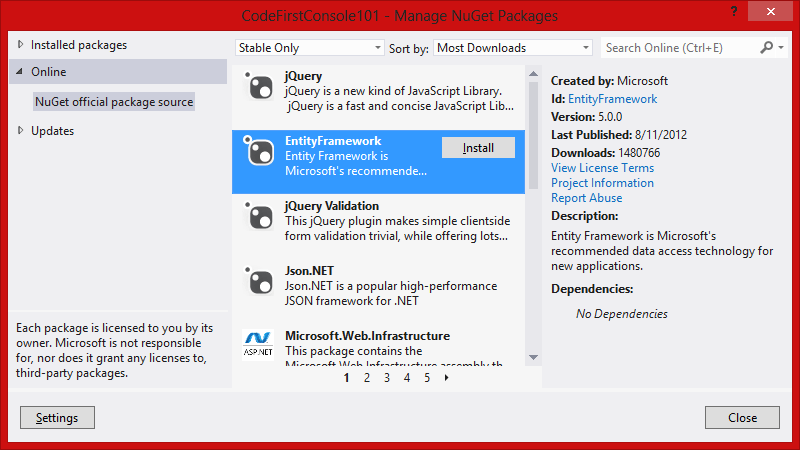 Right-Click on the project, select “Manage NuGet Packages…”, enter “EntityFramework” ( usually right at the top ) and click “Install”. This will add all of the “entity-goodness” to your project! 13:          //  throw an exception letting us know. The latter is my preference. 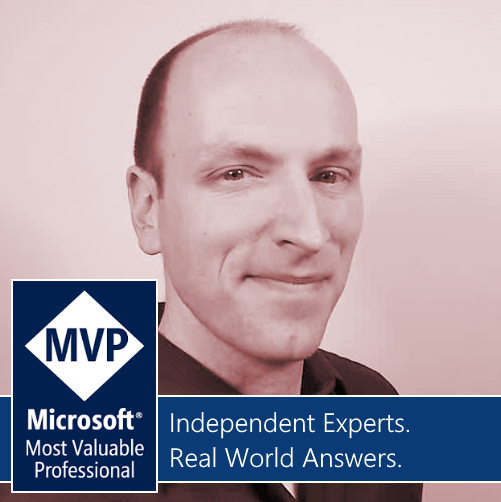 We’d get an exception – letting us know that we didn’t include the connectionString value in our App.config – which is what we want. 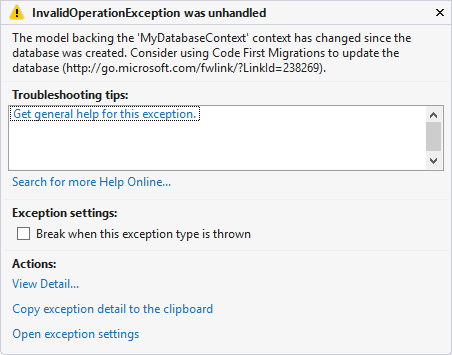 If we didn’t use the “name=” then EF ( Entity Framework ) would create the database either in your local SQLEXPRESS instance, or in your LocalDb if SQLEXPRESS wasn’t installed / running. 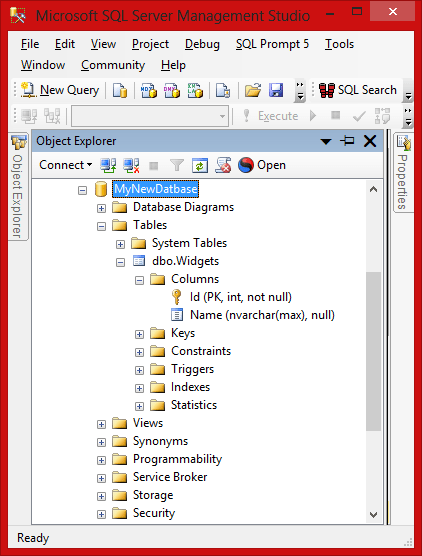 I prefer to be explicit when creating the Database – so you can add one of the following to your App.config. RUN IT! See that we get “My New Widget!”… Run it again! We see “My New Widget!” twice – that means we’re storing data… Cool! What if my “Code First” classes change? 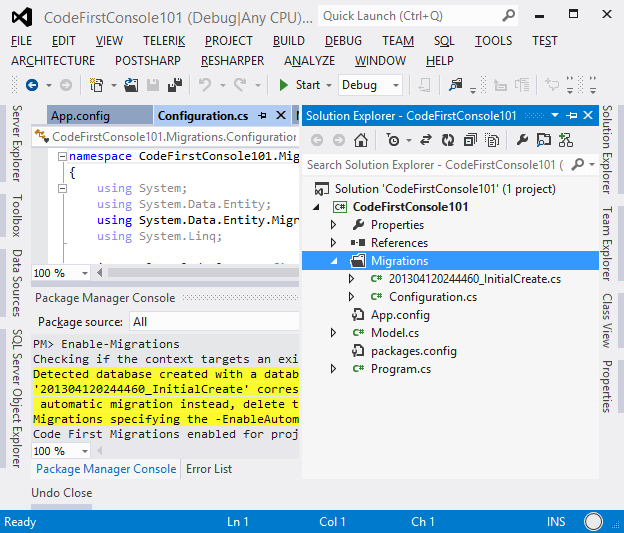 In our project we now see the “Migrations” folder created for us – and this is where we will see all of the database migration scripts – both for pushing out and for rolling back changes. Again in the “Package Manager Console” – enter “Update-Database” – and it will apply the Up() method in the file above! That is pretty sweet! 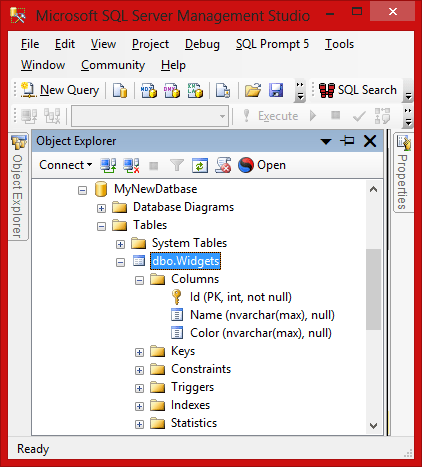 Look at our database, yup – the “Color” column is there! Run our application – no exceptions! In conclusion, this is obviously a very simple example – but shows the immense POWER that this gives us. Hi Lance, Nice and to the point demo, thanks!